The drive is composed of 2 XL motors with 12/20 reduction. The XL are placed under the back and powered each track on the same axle. The trick I used is to placed the XL in face together and pass the power on the same axle. 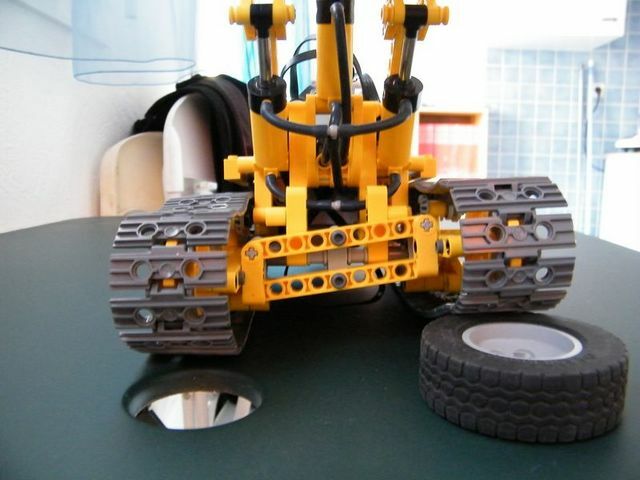 That is why I could put a pendular suspension on the front to be more realistic than my precedent loader. Also the new feature is the pneumatic bucket, I have chosen this because I prefer the smooth movement of pneumatic. 2 M drive the 2 autovalves with a pneumatic compressor per valve. Considering the small available width, I developed a 9-stud double autovalve (11 in normal construction). The moc is very effective, spite of the battery box is placed on the top of the cab. 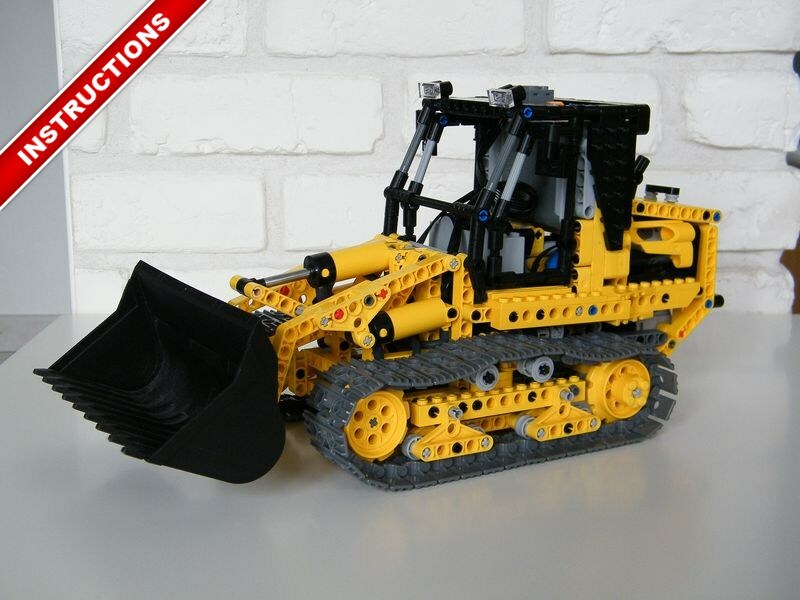 Download the Zip Archive of the Crawler Loader with Autovalve’s instructions, 5 mo, ZIP. Hi! nice model! I just had 1 question. 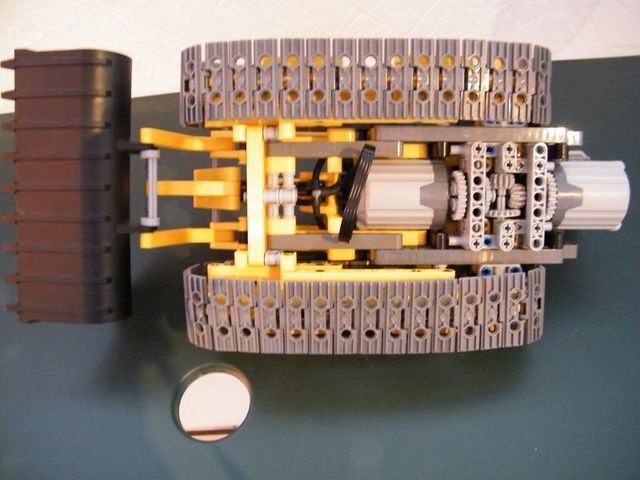 The XL motors have different gear ratios would that affect the speed of driving? super vos suspension, utiliser le principe sur une chenillette ( vidéo dans pas longtemps ). Congratulations on the ingenuity of your creations!! You really are my reference! Thank you for what you do! I wanted to ask politely if you had the card with all the pieces of the loader 2, or the pieces which are additional to the loader 1. Thank you very much! and again congratulations! Thanks, the first use I have seen was on the cziech truck : tatra. Thats a nice model. Brilliant ides with the two Xl motors using the same axle but with different sized gears simple but very effective. Also the Front suspension work really well! nice model i made one these a few months ago if you enter gti180 into brickshelf you can see.